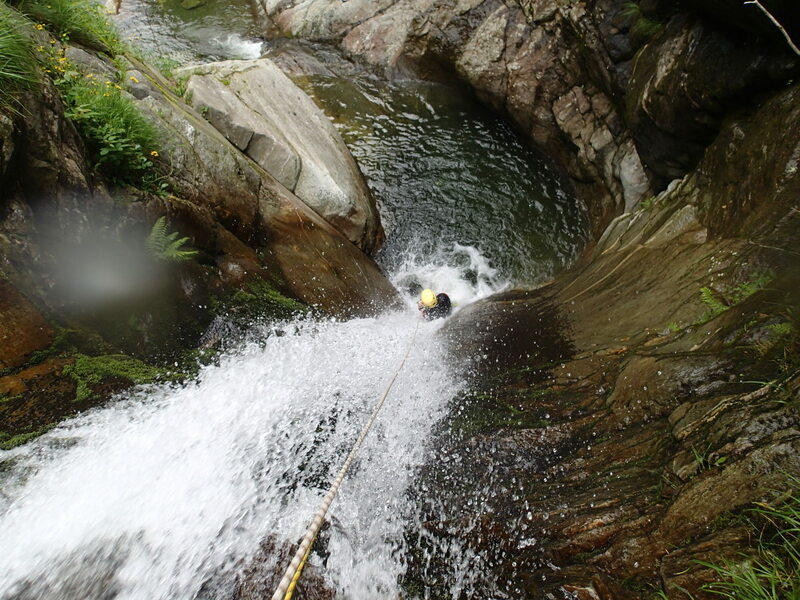 Drops, slides, waterfalls and toboggans etched out of the rocks by the millenary activity of water characterize the natural environment faced when canyoning (also known as canyoneering). The descent is exciting and thrilling and allows you to observe striking landmarks which would otherwise be hidden out of sight and to gain a different perspective of the landscape. 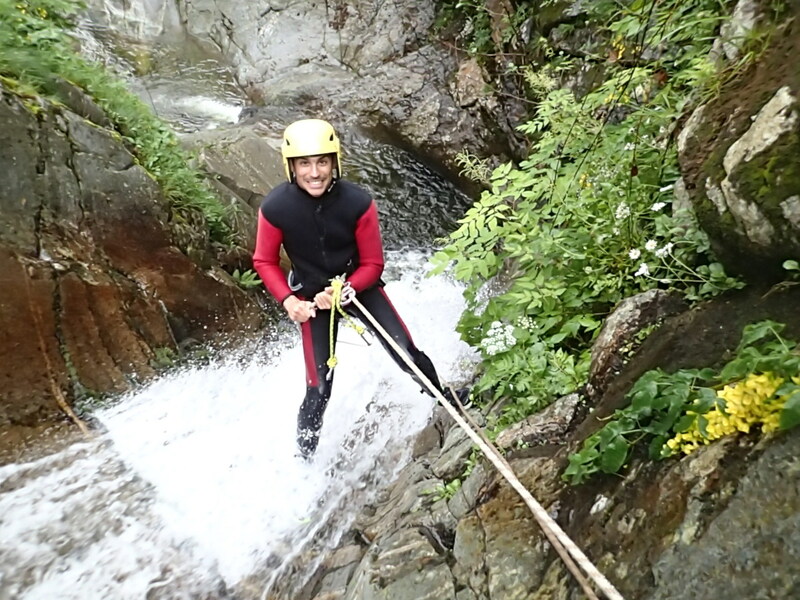 Everyone, even those who have just heard about canyoning for the first time, can try this experience, swimming, diving, and trying out that special feeling, wherever this is possible, of abseiling. What to bring: A wool, fleece or microfibre shirt (those used for skiing are fine), swimming costume, socks, trainers with non-slip soles or lightweight hiking boots, personal items for showering and a dry change of footwear. 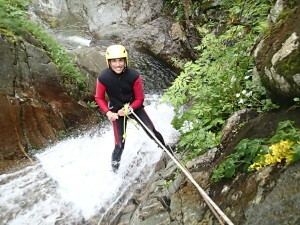 All equipment and clothing will get wet during the descent. The Rio Laghetto rivulet which flows into the Sesia River near our basecamp is a torrent with a medium difficulty level, between the Sorba and the Artogna torrents. We have divided it into two sections to enable everyone to make the descent, by reducing permanence in the gorge and attenuating the difficulty. It features waterfalls, slides, passing through a syphon, all of which can be done by rope. The Sorba torrent flows along a valley with the same name. This is a tributary valley to Valsesia and is located in close proximity to our base. 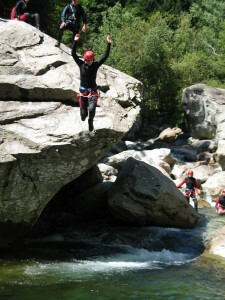 The torrent flows into the River Sesia in the Piode municipality and the last section belongs to the Piode fly-fishing reserve which extends from Campertogno to Scopello. Featuring waterfalls, leaps, slides and crystal-clear pools, it epitomizes Canyoning to the full.